Default routes take advantage of the rule which says longest matching route wins. In the case where this is no specific matching route, the default route will be the route matched. Assume the ISP knows how to reach the 192.168.1.0 network, and assume all basic Ip addressing is already configured. Assume R1 is .1 for all subnets, assume ISP is .2 for all subnets. 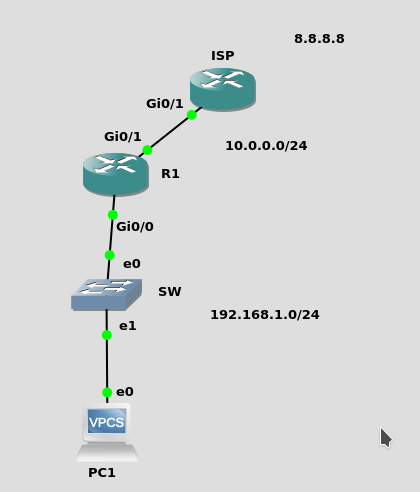 Configure a default route out to the INTERNET. How can you verify it?